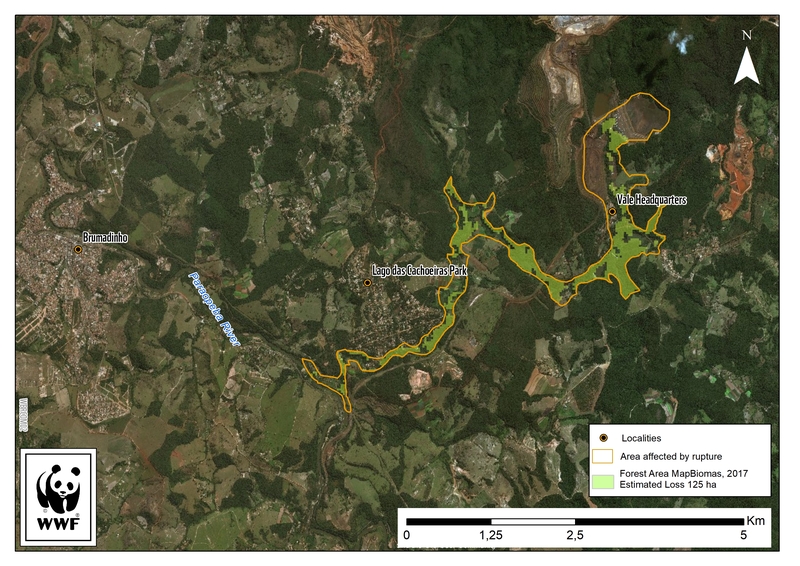 An analysis by WWF-Brazil based on the comparison of satellite images of Brumadinho after the dam rupture and maps prior to the tragedy estimates the impact on the forest cover. Approximately 125 hectares of forests were lost, which is the equivalent to more than a million square meters, or 125 soccer fields. 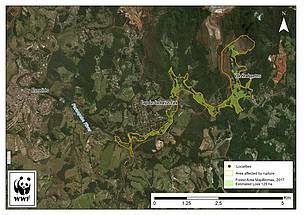 The information was collected based on a cross-reference between data from the 2017 Mapping and Land Use Survey of Brazil (MapBiomas), and satellite images released on Sunday (27) by the Brazilian National Center for Risk and Disaster Management, National Civil Defense and International Charter Space & Major Disasters. 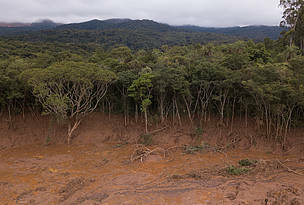 The forest formation in the area where the tailings dam collapsed is Atlantic Forest in transition to the Cerrado, which begins a few kilometers downstream. Considering the mud area registered on January 27th (Sunday), the loss of habitat affected forest blocks, resulting in fragmentation and hindering the connectivity of these areas. "The mining industry needs to conduct researches and to invest in processes of lower impact and risk, such as dry methods that do not involve tailings dams and promote a change in the entire production system. These urgent changes must be driven by strong environmental regulations”, says Mauricio Voivodic, Executive Director of WWF-Brazil. 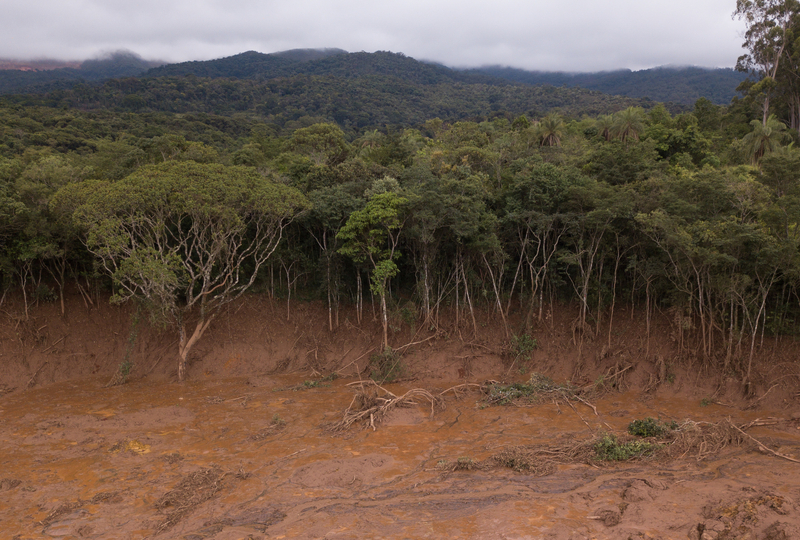 The effects of tailings on the environment occur in many other ways, besides the impact on forests. For aquatic fauna, for example, it is possible to state that aquatic life is over in places where the mud accumulates. In the most affected stretches, the river stops running and water is replaced by mud, making impossible to aquatic species survive. The terrestrial fauna that depends on the course of the river in a more directly way is also strongly impacted. 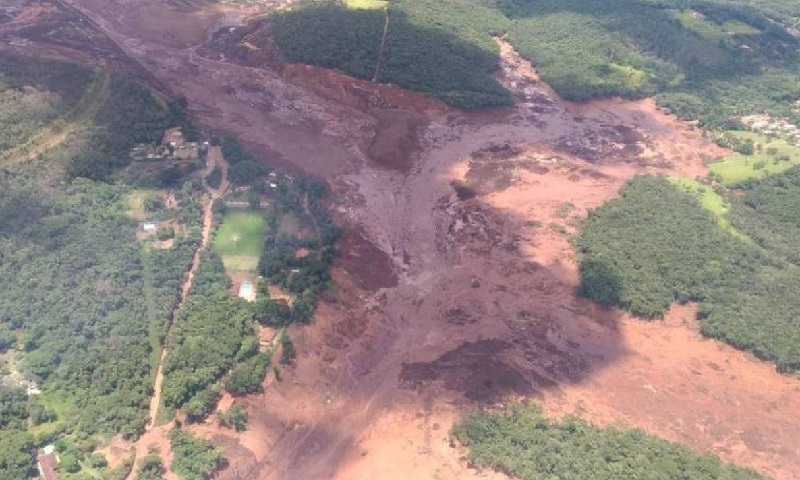 The sediments will continue to move, following the course of the Paraopeba River and most of it will probably be retained in the Retiro Baixo HPP dam. However, thinner sediments will continue to be carried by the river and it is not possible to state how and when they will be diluted. 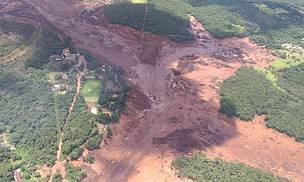 It will be a long process of ecosystem change that may affect aquatic life even on the São Francisco River, since the water will become more turbid whenever it rains heavily in those areas where the mud is accumulated. The Paraopeba River is an important affluent of the São Francisco River, one of the most emblematic in Brazil, that reaches the Northeast region. This threatens even more the water security of millions of Brazilians. If the mining tailings reach the Três Marias hydroelectric plant’s reservoir, one of the largest in the national energy system, with great regional importance, it can affect the power generation of the plant and the operation of other energy units installed along the São Francisco River. Três Marias still has strategic importance in controlling the flow of the river, regulating the water flowing to the Sobradinho / Paulo Afonso / Xingó hydroelectric complex, the largest in the Northeast, which generates approximately 95% of the region's energy. Another impact of the volume of mining tailings reaching the plant’s reservoir is the reduction of its useful life, which depends directly on the volume of sediments. The river naturally carries sediments that tend to accumulate at the bottom of the reservoirs, because in this environment the water velocity is very low. As the amount of sediment in the bottom increases the capacity to accumulate water, and thus generate energy, is reduced.